The Eurovision Song Contest 1966 was the 11th edition and was held on 5 March 1966 in Luxembourg, Luxembourg. The rule stating that a country could only sing in any of its national languages was originally created in this year. This was possibly created due to the 1965 Swedish entry, Absent Friend which was sung in English. 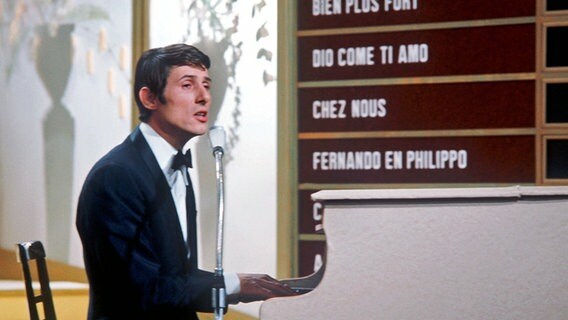 The winner of the 1966 contest was Austria with the song Merci, Chérie which was performed and composed by Udo Jürgens. Thomas Hörbiger wrote the lyrics to the song. The venue chosen to host the 1966 contest was the Villa Louvigny, which has also hosted the Eurovision Song Contest 1962. The building served as the headquarters of Compagnie Luxembourgeoise de Télédiffusion, the forerunner of RTL Group. It is located in Municipal Park, in the Ville Haute quarter of the centre of the city. The backdrop on the stage was a large moving mobile, which distracted the attention from the singers. Domenico Modugno, who performed for Italy, refused to use the orchestra and used a small combo to accompany him instead. Domenico Modugno thought the orchestra wasn't good enough. During the voting process, the presenter (Josiane Chen) accidentally greeted United Kingdom by saying "Good night, London. ", then, she realized the mistake and said "Good evening, London. ", after. Michael Aspel, who was the spokesperson for the United Kingdom, at that time, responded by saying "Good morning, Luxembourg." 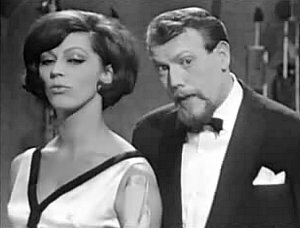 1966 marked the year the first ever black singer graced the Eurovision stage, Milly Scott representing the Netherlands. She was also the first singer to use a portable microphone. This was also the last contest that Denmark participated in until 1978, more than a decade later. All countries which participated in the 1965 contest returned for a second consecutive year. There were no new nations, nor any returning, nor withdrawals. Two artists returned for a second time in this year's contest. Udo Jürgens from Austria who's previous participations were in 1964 and 1965; and Domenico Modugno from Italy, who last participated in 1958 and 1959.